Finally, there will also be a tea ceremony demonstration by Omar Francis Sensei of Chicago Urasenke at 2:00 PM on Saturday. Patricia Larkin Green performs an ensō demonstration and sumi-e workshop. The artist will demonstrate painting ensō and lead participants in meditation before practicing their own ensō at 12:30 PM on Saturday. 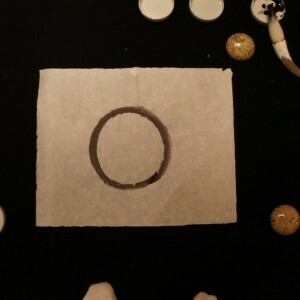 The instructor will provide hands-on guidance and discuss a brief history of the ensō (a hand-drawn circle in one uninhibited brushstroke to express a moment when the mind is free to let the body create).